The growing use of the internet for communicating and the many ways we can now access the internet means whist it is of huge benefit to us all in our daily lives it is also an increasing potential danger. Many of us are unaware of the possible challenges of keeping children safe online. In our school, our scheme of work ensures that children start to consider e-safety from Reception and that each year these experiences are built on in a progressive way. Rather than viewing it as a separate area we ensure that e-safety is weaved throughout our curriculum so that by the time children leave in Year 6 they are able to safely make choices about the technology that they use. Content - what children view, download, search for and access. Contact - what and who they come into contact with. Conduct - how they behave as an individual and towards others whilst using technology. We strive to regularly review our policies and teaching to ensure that new and emerging technologies are incorporated within our curriculum. Through our approach, we aim to teach children how to use the Internet safely and securely, so that they are able to make the best possible choices when online. Personal security is a fundamental part of this and ensuring that children know where and who they can get help from if they see or experience problems whilst being online. Use parental controls on devices that link to the internet, such as the TV, laptops, computers, games consoles and mobile phones. Parental controls are not just about locking and blocking, they are a tool to help you set appropriate boundaries as your child grows and develops. They are not the answer to your child’s online safety, but they are a good start and they are not as difficult to install as you might think. REMEMBER. We are here to help at school if you need it. Vodafone have provided a useful free resource called “Digital Parenting” magazine, which gives excellent advice on E-Safety and various guides on how to protect children online. CEOP are an association who are working to protect children online and they have a website entitled “ThinkuKnow” where there are free resources and guides to keeping children safe online. There is some really valuable information on the website and it is updated on a monthly basis. http://www.vodafone.com/content/parents.html - Vodafone Digital Parenting. https://www.thinkuknow.co.uk/ - Visit the “Parent/Carer” Section and use the “Click CEOP” button to seek advice and report online abuse. 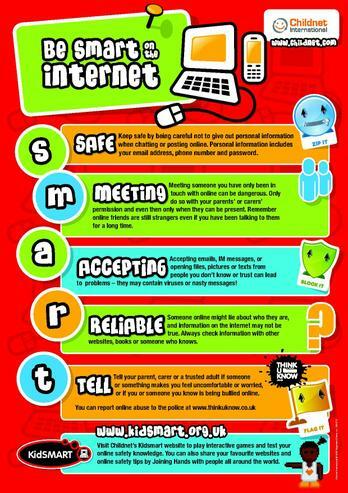 www.childnet.com - Visit the ‘Know It All’ section for an interactive guide about online safety. www.getsafeonline.org - Free up-to-date security advice. http://clickcleverclicksafe.direct.gov.uk - Click Clever Click Safe Campaign. www.bbc.co.uk/onlinesafety - Webwise for parents and children. www.cybermentors.org.uk – Online support for children. 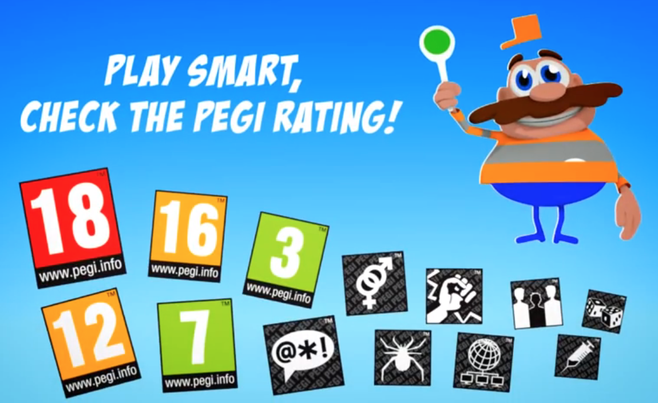 http://www.pegi.info/en/index/id/29/ - Games consoles parental tools. https://support.apple.com/en-gb/HT201304 - iPad parental controls. www.askaboutgames.com - Advice on video games for parents.